This home takes its inspiration from a simpler time. It harks back to the ruggedness, practicality and ethos of hard work of those who pioneered this region. 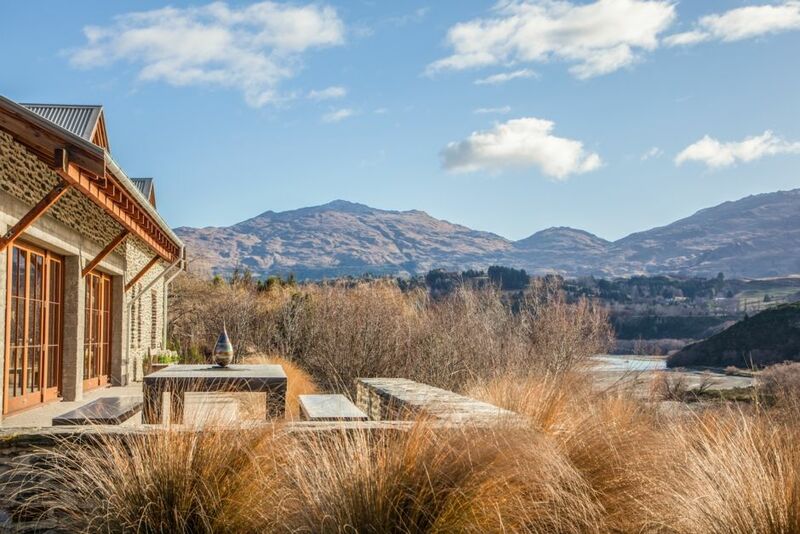 With the character of an historic stone farm building that has been converted into a house, it sits in a vineyard on the banks of the Shotover with commanding views north across the river valley to Coronet Peak. Spectacular views from every window, no neighbours, and only the sound of the river and the odd jet boat to disturb the silence. Without apology there are no curtains to be seen. You wake up when nature intends you to. Easy to think you are miles from anywhere in this magical part of God's own country. Yet you are only 5 minutes from Frankton and the Queenstown airport. MajorDomo Limited's terms and conditions apply, which can be found on MajorDomo's website. 5 Night minimum stay applies from 20 December - 5 January and from 20 June - 31 July.